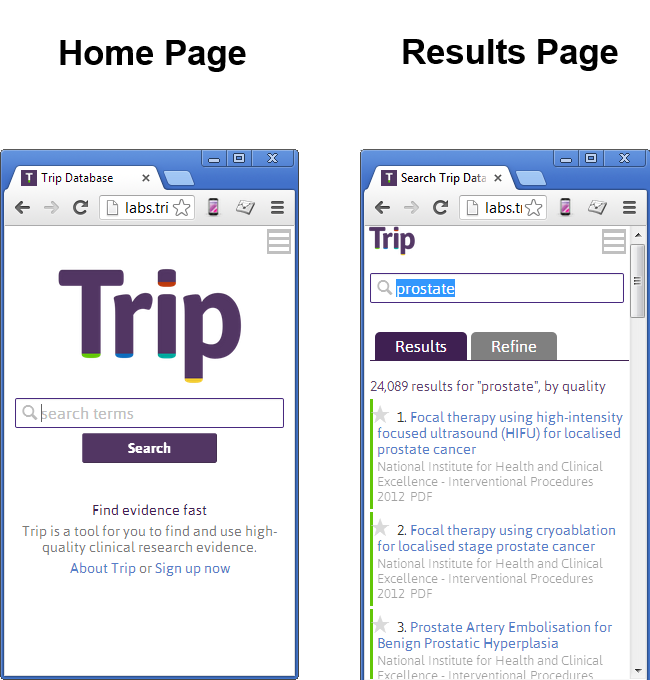 We have now released a new mobile interface for the Trip Database. Previously, a user going to Trip from their mobile would have a disjointed experience! However, we have no released an adapative interface. This means our clever system can tell what size screen a user is using and adjust accordingly. In reality this means that, on a mobile phone, we strip out a lot of functionality, leaving a stripped down searching experience. We have retained the ‘starring‘ feature as a few of our testers liked the idea of starring documents on their mobile to read later when they’re on a full screen.